Last month we posted up some information on three drag race R35 Nissan GT-R's that were being built in Australia. 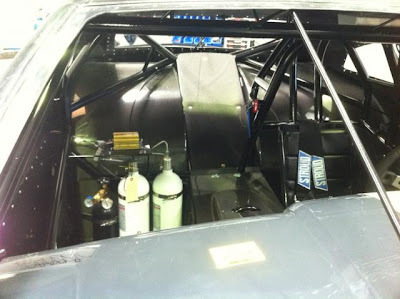 Now we have a little more detailed information and pictures on one of the cars being built. Godzilla Motorsports car is coming together now, with RB power. A similar setup in their all wheel drive R32 GT-R drag car has gone 7's in the quarter mile. Time is short, as the Jamboree is coming up August 27th and the 28th in Brisbane, Australia. No word on the other two Nissan GTR's, however it seems like they may even be 2JZ powered, that is a pretty proven inline 6- turbo engine. There were some rumors of the car getting a AMS built 1800 hp VR38DETT engine, but time is short, so the car is going to be running with the old iron lump of an RB26. If everything goes to plan, it should be capable of some 6 second timeslips. If it can run that fast, it should be the first RB powered car into the 6's. Time is short, wishing the guys luck, and we would rather see them do it with Nissan power, and when they get around to it, the VR38 sitting in the front.